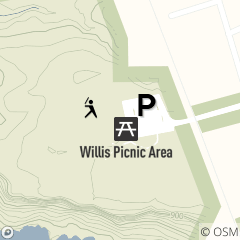 Willis Picnic Area is located off Willis Street in Bedford Reservation, off Broadway Avenue in downtown Bedford. This area features a picnic shelter, swing set and horseshoe pits. It shares a parking lot with Tim Lally Field, a baseball field managed by the City of Bedford.